What was meant to be a fun night out turned into a gruesome crime scene when Omar Mateen, a 29-year-old American, gunned down 49 people and injured 53 inside a gay nightclub in Orlando, Florida. It was the deadliest act of violence against the LGBTQ community in U.S. History. 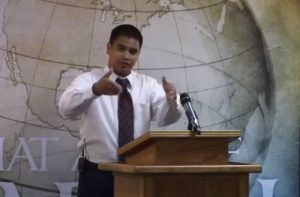 Shortly after the horrendous tragedy, a video emerged on YouTube of Pastor Roger Jimenez of Verity Baptist Church in Sacramento, who praised the gunman’s actions. He went on to call the victims pedophiles and predators. Are there any arguments the church can make to continue to rent the property? Can a Landlord Legally Require a Tenant to Break the Lease? A lease is a binding contract, and the terms of the lease control. A landlord cannot coerce or legally require a tenant to break a lease unless both landlord and tenant agree in writing to change the terms of the lease. However, a landlord can evict a tenant if the tenant breaches the contract. In other words, if the tenant does something that the lease specifically prohibits, the landlord can begin the eviction process. For example, if a landlord leases his property to a church and the lease doesn’t allow subleasing, the church cannot rent the space to a law office as that would be considered impermissible subleasing. In this case, Harsch Investment Properties cannot require the church to move out based on Pastor Jimenez’s comments unless those comments would violate a clause in the lease. Notwithstanding, the church can elect to move at Harsch’s request and would not be penalized for breaking the lease. If the church is feeling threatened or coerced to abruptly break their lease, they may argue they are being discriminated against based on their religious beliefs. Religious discrimination is treating a person or group unfavorable because of their religious beliefs. The law protects people who belong to traditional, organized religions, but also others who have sincerely held religious, ethical or moral beliefs, in both employment and housing settings. Here, the church has several arguments. First, they may argue that their religious beliefs prohibit them from supporting the LGBTQ in any capacity, and that asking them to leave their lease is discriminatory based on their religious beliefs. Because Harsch Properties has no legal right to require the church to break their lease, this argument would prevail. Second, the church may want to distance itself from Pastor Jimenez himself. The church could argue that Pastor Jimenez’s beliefs and what he preached did not reflect the ideals of the church, and therefore, they should not be required to leave the property. Again, because Harsch Properties has no legal right to require the church to move, this argument would also prevail.